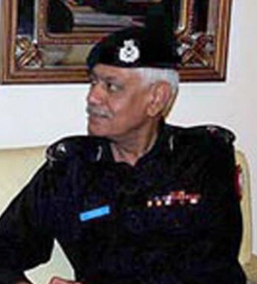 IG Sindh police Shahid Nadeem Baloch on Thursday presided over a meeting at Central Police Office in the city and reviewed progress of investigation conducted by police officers in registered cases. Additional IG Karachi Gulam Shabbir Shiakh, Additional IG CID along with DIG headquarters Sindh, DIG CID, DIG Training, DIG Establishment, DIG Finance, DIGs of Ranges and Zones, SSPs CID, SSP ACLC, AIG operations Sindh and other police officers attended the meeting. It was decided in the meeting that special teams would be formed for investigating and cooperating investigating parties of police stations in target killing and other high profile cases at zones and ranges level. IG Sindh directed DIG training to start refresher courses for those investigating police officers who would be nominated by Additional IG Karachi. He said training should be given to those police officers in groups. IG Sindh said training of investigation should be upgraded.